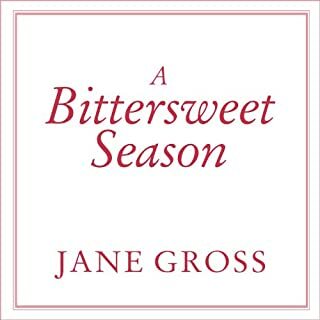 In telling the intimate story of caring for her aged and ailing mother, Jane Gross offers indispensable, and often surprising, advice for the rapidly increasing number of adult children responsible for aging parents. Gross deftly weaves the specifics of her personal experience with a comprehensive resource for effectively managing the lives of one's own parents while keeping sanity and strength intact. Caring for elderly parents is challenging. It's a season of life requiring strength that comes only from God. 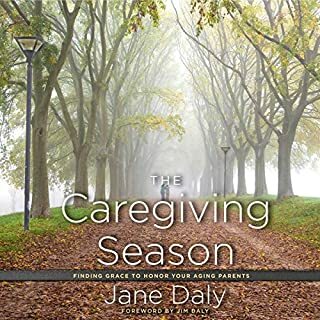 In The Caregiving Season, Jane Daly openly shares her stories from the front lines of battling guilt, negotiating new boundaries, and dealing with exhaustion. Her message of grace and hope will help you honor your aging parents well, and deepen your personal relationship with Christ along the way. How does a doctor cope when she specializes in older adults and struggles to care for her own ailing parent? 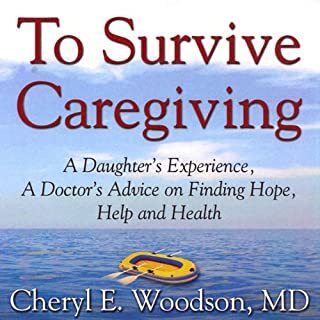 Dr. Woodson shares her experience as daughter and geriatrician in this new resource for family caregivers. She shoots from the hip and the heart, using everyday language, real caregiver stories, compassion, and humor to bring practical information to overwhelmed caregivers. Although it focuses on elder care, the book helps with caregiving for any age, or any illness. 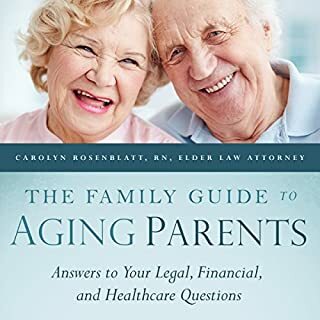 With expert advice from Carolyn Rosenblatt, RN and elder law attorney, who has direct experience helping hundreds of families like yours, this crucial guide offers you all you need to competently handle what lies ahead, in the legal, financial, and heath care issues that come along with caring for aging parents. Have you ever wondered how you will feel when you are suddenly given the responsibility to make important decisions for your parents, because they are no longer capable of doing that for themselves? I wrote this book for the person whose loved one requires additional assistance in searching for a place to live out their golden years. Whether they are your parent, partner, or sibling, know that you're not alone in your search. This book will be a useful tool that can help you gather information you need to make well-informed and wise decisions with or on behalf of your loved one when searching for an assisted living facility. No one really expects it, but at some time or another, just about everyone has been—or will be—responsible for giving care, for a sustained period, to someone close to them. Gail Sheehy, who has chronicled every major turning point for 20th-century Americans, as well as reported on everything from politics to sexuality, knows firsthand the trials, fears, and rare joys of caregiving. Got a family fight on your hands? Anxious and aggravated by a sibling or two who just doesn't get it when it comes to caring for your parent? If you are overwhelmed by family conflicts about aging parents or other loved ones, this little book is for you. The first part was quite depressing as it was so similar to what I've been through. The second part summarized how to manage what was encountered in the first part. The narrator presented the book very vividly There were some 'foul language', but it makes the book more realistic. 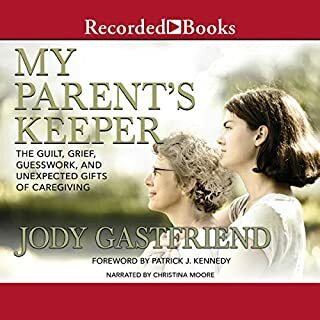 I found this book extremely useful because it helps me understand what we're going through with my parents... it's frustrating though because she has a lot more money than i do and we don't have long-term care insurance..we simply can't afford it. 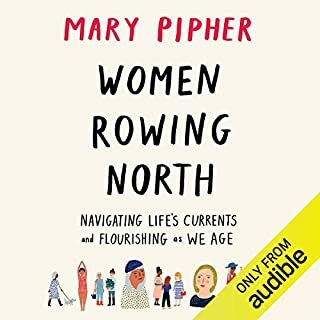 Since I'm facing some tough elder care decisions in my own life right now, I was really excited to listen to this book and gain some helpful insights. Instead what I got was hours of self-indulgent crap... constant infantile jokes, stupid movie references, bad singing, and a clearly-embellished story that could have been told in a couple of hours instead of a dozen. If you're bored and you happen to find amateur hour at the local comedy club amusing, you might like this. If you're looking to actually understand issues related to elder care, I'd skip it. I only rated overall 4 stars instead of 5 due to the incredible amount of cussing (the "F" word, etc.). If you're a Christian, this is not for you due to using the "G&D#@mnit" word often. Worth buying the book tho' just for the last chapter alone w/all her helpful hints. Great reading of book by the author! I wish all audible books were read so well! She ought to do it for a living! The author went thru horrific thing & kept going until answers were found. God bless her. Aging is not a prospect many of us look forward to. When our beloved parents begin to decline in either their physical or mental health it reminds us of our own inevitable future. Unless a person is estranged from their family, chances are, they will play some role in the caring of one or both parents as their health becomes increasingly fragile. Personally my goal has always been to help my parents and in laws sail through their golden years with as much dignity and grace as possible. Unfortunately I never imagined how difficult that goal would be. I felt alone and isolated as I tried desperately to navigate the chaos that caring for my parents threw at me. Late one evening I stumbled across a review for Elder Rage. I almost passed on the book because rage had not been a concern. What a mistake that would have been! I nabbed the audio version and was surprised to discover the narrator was the author. Jacqueline's passion and humor shone through each spoken word. Her experience helped me gain insight on how to manage the care of my mother especially when medical personnel refused to acknowledge input from family members. It was comforting to know that I was not insane and other people had walked in my shoes. Jacqueline's experience as both someone who did hands on care-giving as well as long distance was very insightful. This book is a MUST READ for anyone whose parent's are entering the twilight of their lives. 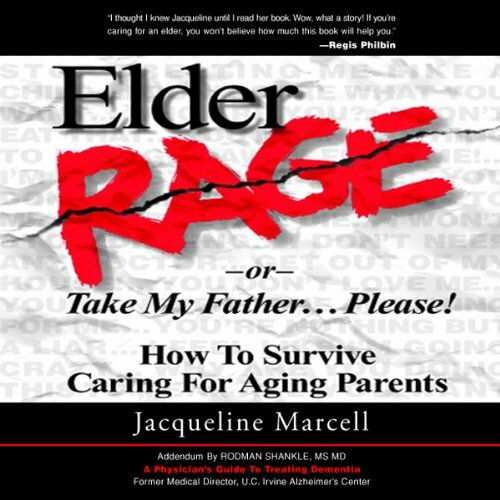 Jacqueline Marcell has something for all of us who have elder caregiving roles. Her father's emotionally abusive behavior, which sounds incredibly bi-polar, really draws you in. She recounts the terrible time she had getting anyone to believe he could be so abusive and then extraordinary normal and charming (I think I yelled "flipcam! flipcam him!" at least a couple of times). I know I would've enjoyed it more if Jacqueline had revealed her own self-discovery about a lifetime of enabling behavior, but it's hardly touched on. She gives a very theatrical read so take a listen to the sample first and see if you like it. The boomer pop culture references cascade non-stop and, as she says in the beginning, every incident gets it's own classic rock theme or motown theme song. MANDATORY if I could. I have barely survived this care-giving, am only in the first week of my own arduous recovery as a result of these circumstances causing me a breakdown; which I thought my entire life was completely impossible. I was on top of the world before "care-giving" to the elderly parent began. If your life is currently consumed by these circumstances this book is a luxury liner safety/life/rescue boat because it proves "all things are closer than they appear in the mirror; they are real, experienced by others like yourself; and YES the institutions are completely FAILING all the parties involved!!!. If you have dodged this bullet so far, you need to read this to understand the unimaginable turmoil and destruction these circumstances tally on the lives of many friends, family members, and co-workers. If THEY told you, you would think they were looney tunes. Which character – as performed by Jacqueline Marcell – was your favorite? There was NOTHING ABOUT CHARACTER role play here. This is about the cold, harsh, relentless, unforgiving, tragic reality of life. Hell Bound - One System Failure at a Time! Alzheimer's help...Here it is. Fun funny and true. If you could sum up Elder Rage, or Take My Father... Please! in three words, what would they be? What other book might you compare Elder Rage, or Take My Father... Please! to and why? The Glass Castle, similar humor in the midst of a serious life challenge. What does Jacqueline Marcell bring to the story that you wouldn’t experience if you just read the book? I am thrilled that I got to hear it in her own voice. I'm sure that it added to her story because you can hear her re-living the events of her life with vivid emotion. This was a can't put it down. I finished in 2 days and on day 3, restarted with my husband. I think everyone should hear this story because Alzheimer's is growing at an alarming rate, meaning we will deal with it or know someone else who is. What made the experience of listening to Elder Rage, or Take My Father... Please! the most enjoyable? I listened to this book on my commute to work. It was really funny - many times I laughed out loud and had to restrain myself. Even though I don't have parents with demenia, and in fact they are still quite healthy, I am interested in how we manage our growing "ageing population". 87% of older people say they want to die in their homes. only 16% ever achieve that. How can we as a society support people stay in their homes longer? Jackie has all the answers - and she has gone through a lot to get them. I hope her wisdom spreads wide and far. This book was not at all what I was looking for. The reader's constant references to pop culture got old after the first 10 minutes, and I didn't find them funny at all. In fact, I stopped listening half way through because I didn't enjoy hearing the constant nasty behavior and fighting between father and daughter. While I empathize with the pain that the author must have experienced, I found the book self-indulgent and not helpful at all re: caring for aging parents.